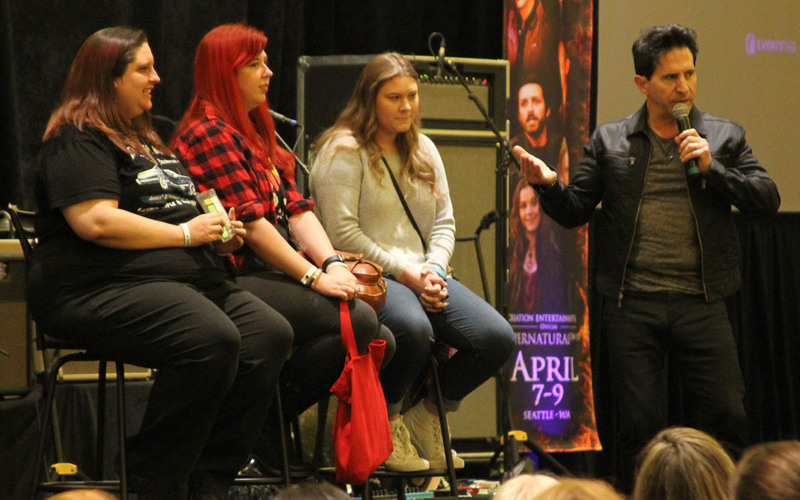 Orlando, Florida, winter, and The Official Supernatural Convention: that seems to have a certain amazing ring to it and one that we are sure to want to participate in. When we booked Jacksonville for a return visit because of scheduling it had to be at the end of the year (December of 2018) but if possible there had to be a way to get to some part of warm hospitable Florida in the early part of 2018. And so the mission was set, and after years and years of trying we’ve been able to get the the convention and the stars to one of our happiest sites, ORLANDO, FLORIDA in icy cold January weather throughout the majority of the country. The super-successful Jacksonville show of course remains and is almost a year away from this new Orlando event. Cool note: the hotel is literally in walking distance of many of Disney attractions including steps from Downtown Disney. Make sure to leave extra time to explore some of the world’s top spots! You’ll love the renovated hotel, we’ve spent much time there and enjoyed every visit. We’re getting together to salute the series and stars that have meant so much to us, and that, together with the SPN fandom family, have made the show North America’s longest running genre series, an epic achievement. 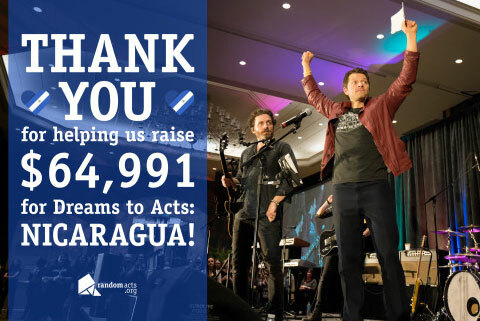 This milestone is only bettered by the fact that SPN has done so much for so many, through its supportive and charitable nature. 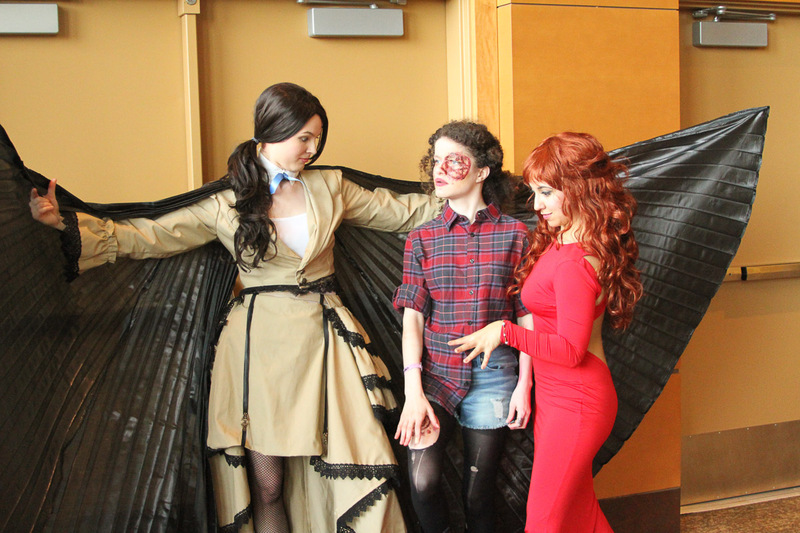 Together, we’ve all raised the bar of the typical fan convention gatherings and made our Supernatural events into singular theatrical productions. 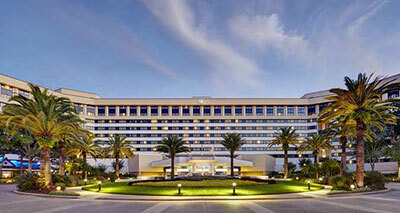 We hope you make your plans to be with us in ORLANDO for the very first time and we promise a vacation like no other! WATCH THIS SPACE FOR UPDATED NEWS ON GUESTS AND ATTRACTIONS: LOTS MORE TO COME! Multi talented Rob acts as comedy sidekick to our host Richard Speight, Jr. all weekend and they have an incredibly fun relationship with their stage personas, and of course Rob is an incredible singer/songwriter who has anchored our Saturday Night Special Concerts for some years now with his band Louden Swain. 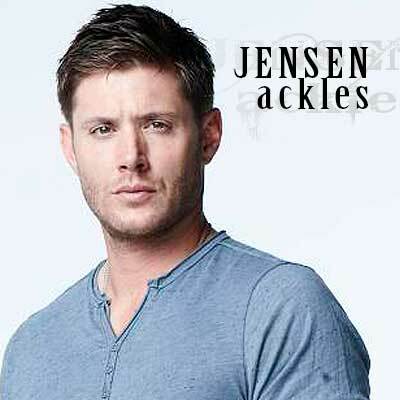 One TV show is just not enough for Supernatural’s friendliest guest. Matt is currently seen on FOUR TV series, and we’re so proud of him! 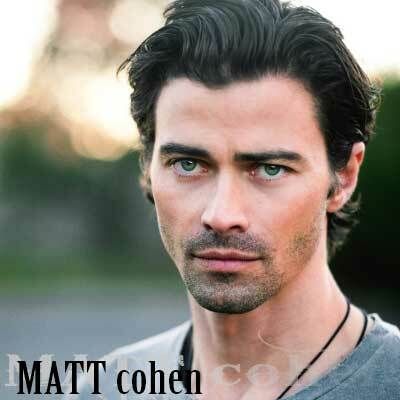 Catch Matt guesting on Supernatural of course, plus a long term gig on General Hospital and a recurring role on Criminal Minds: Beyond Borders., and the comedy on- line show Kings of Con. Appearing Saturday. 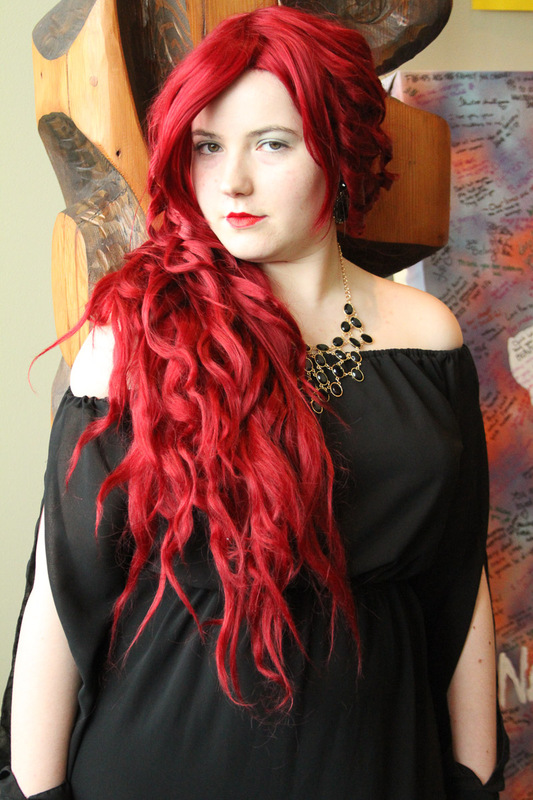 January 17, 2018: We have been advised that RUTH CONNELL is unable to attend this convention due to personal reasons. 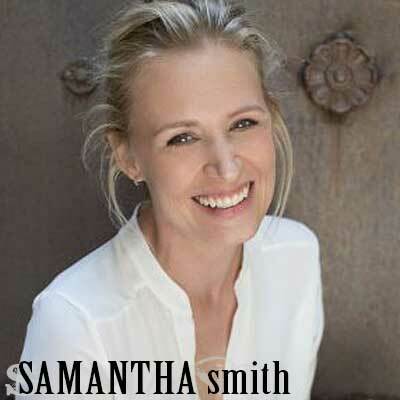 SAMANTHA SMITH will be taking her place. 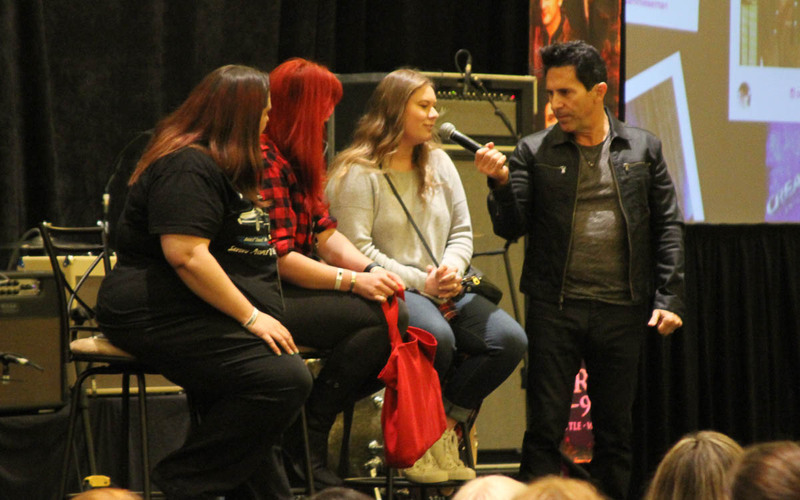 Those who have a SEPARATE Ruth solo or duo photo op ticket please bring those tickets to registration for a CREDIT VOUCHER or you can use your Ruth solo photo or Ruth/Mark duo photo op for a Samantha Smith solo photo op or Samantha/Mark P duo photo op. VOUCHERS are good for any other available autograph, photo op ticket, admission ticket or Creation merchandise. If you prefer a refund, please send the VOUCHER to Creation, 217 S. Kenwood, Glendale, CA 91205 attention: Ed. 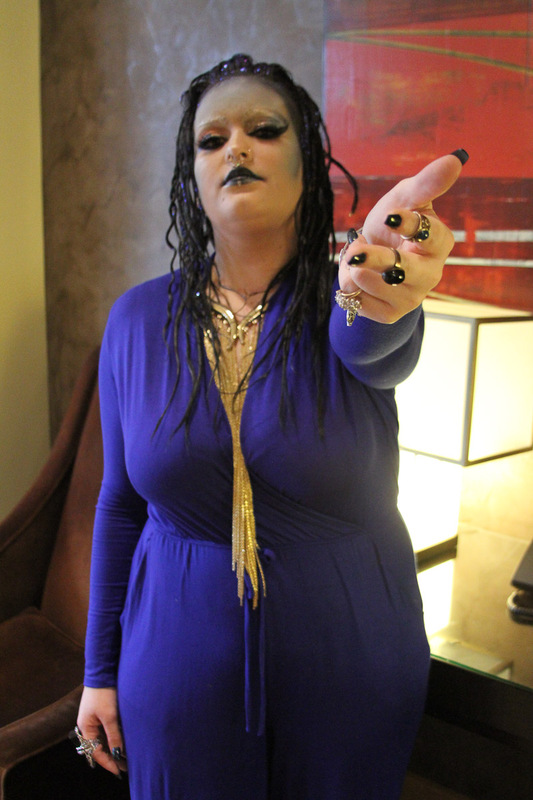 If you bought a Ruth’s Witching Hour ticket we'll be refunding your ticket right away! There's no need to exchange your ticket for a Credit Voucher on site as your credit card will be directly refunded the price of the ticket purchased. Please allow 5-10 business days for the refund to post to your account. 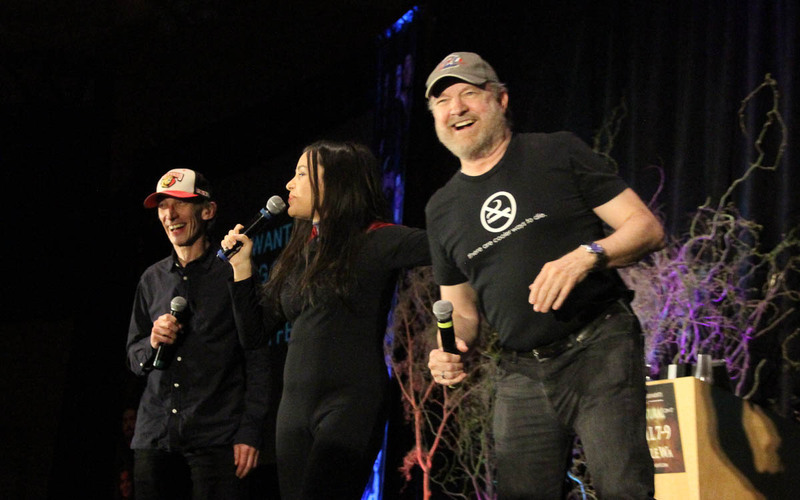 WOW, it is hard to believe that we have been running conventions for our fellow fans for 47 incredible years and what a ride it has been. 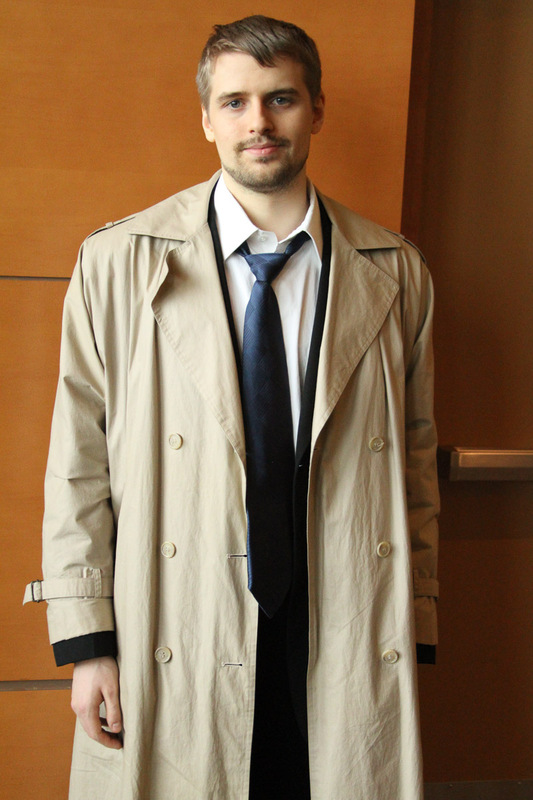 Thanks to our fellow fans we’ve loved bringing the stars direct to their audiences; and the tradition has continued and indeed been amped up greatly by our SUPERNATURAL CONVENTIONS. Join the celebration and be part of the unforgettable SPN family. 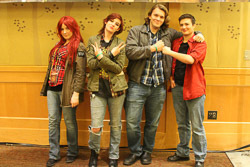 THURSDAY, JANUARY 18TH – 8:00 PM (Doors at 7:15 pm) – FREE SCREENING (Main Theatre) & WAYWARD PREMIERE PARTY (Center Ballroom)! 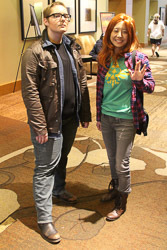 THE FIRST AND LAST...WAYWARD PREMIERE PARTY! 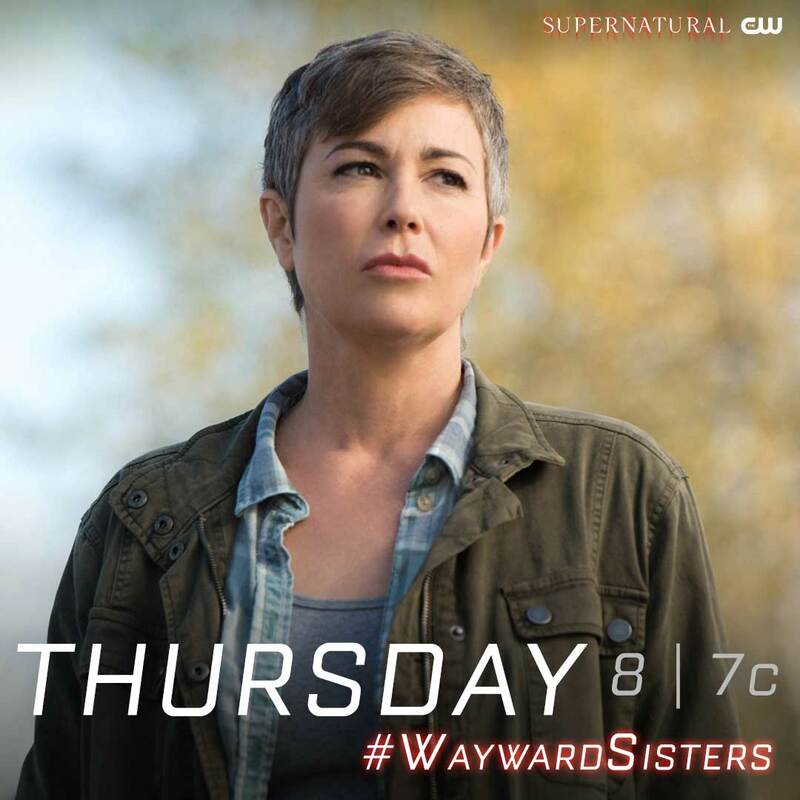 As we’re sure you all know, the powerhouse “Supernatural” spinoff "Wayward Sisters” airs the Thursday night, January 18, the night before the Orlando convention kicks off on Friday. What better way to honor this momentous television event than with a party and Q&A with stars of the spinoff, KIM RHODES and BRIANA BUCKMASTER! That’s right, they want to celebrate their big night with YOU. Just imagine…when this show becomes a huge hit, you’ll be able to say you were there THE NIGHT THE SHOW LAUNCHED…PARTYING WITH THE STARS!!!! 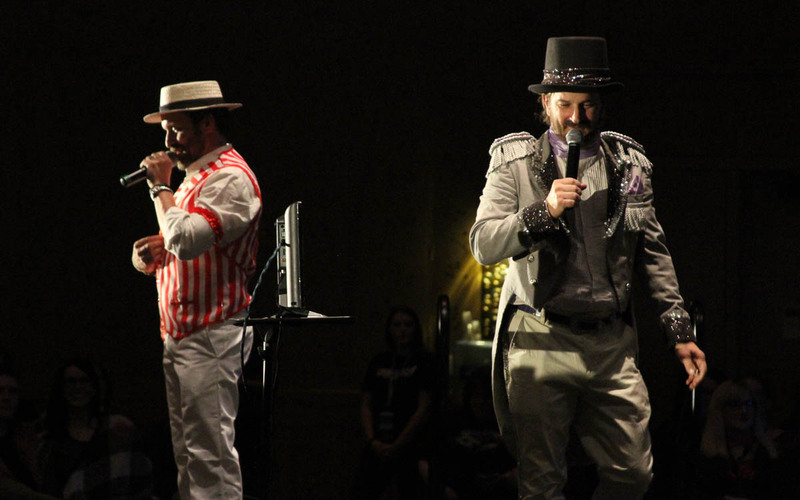 And to make this once-in-a-lifetime event even more amazing, overseeing the evening are the dynamic duo of ROB BENEDICT and RICHARD SPEIGHT, JR.! Holy Crap! And as an added free bonus, Creation is putting a TV in the Theater for the ultimate watch party! Your Party Ticket grants you first access to the free screening room where there is open seating. That means you and all your Premiere Party pals can WATCH THE PILOT together FOR FREE before the official party begins! After the Premiere, you get to head over to the Exclusive Wayward Premiere Party!!!!! Followed by the WAYWARD PREMIERE PARTY with the show’s stars Kim and Briana, moderated by legendary party crashers Rich and Rob. A show can only premiere once. DON’T. MISS. OUT. 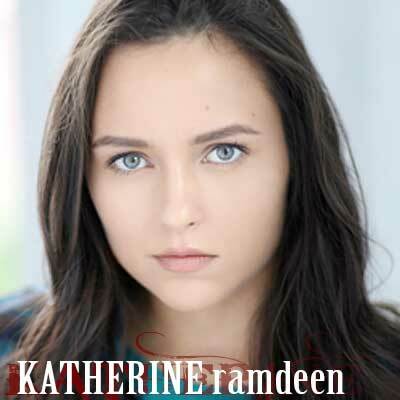 Watch our convention regular stars Kim Rhodes and Briana Buckmaster and one of our newer tour additions Katherine Ramdeen in their new spin-off effort airing on the CW January 18. Enjoy Dean’s Favorite Childhood Sandwich, PB&J while talking life with Supernatural’s very own Mary Winchester. Don’t forget to cut the crusts off! 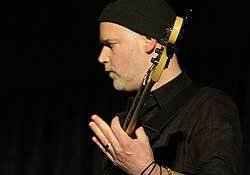 THIS EVENT IS LIMITED TO 20 ATTENDEES at $89 each and TAKES PLACE ON SUNDAY. 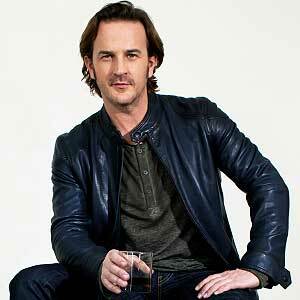 Who better to welcome you to the convention than the always party-ready RICHARD SPEIGHT JR. What can we say about a gentleman we are deeply indebted to for pumping up the entertainment level at our conventions? Richard's work on stage as MC is exceptionally entertaining and his quick wit manages to bring out the very best of our guests without overshadowing them. Our definition of a "perfect host" and Richard makes this tough job truly look easy. 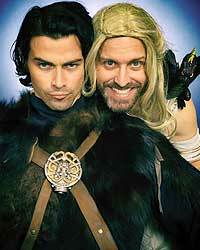 Aided by his sidekick ROB BENEDICT, these two have a banter that you will really love! 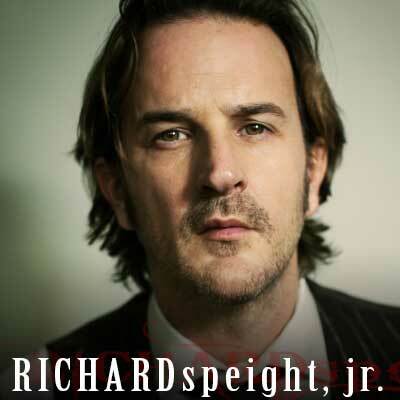 Richard, of course, has had a long career outside of Supernatural including work on Yes, Dear, Jag, Jericho, Justified, Band of Brothers and The Appomattox, amongst others. 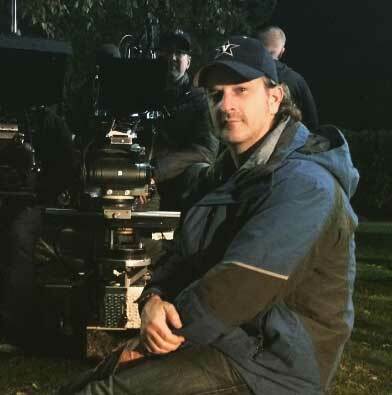 Naturally Richard will be with us all three days of the convention, and of course we’re very proud of the fact that he has now become a director of SUPERNATURAL. Limited to only 10 lucky fans on Sunday for a half hour. 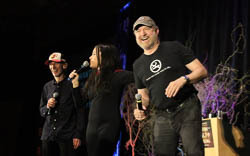 Download the madness of the weekend, dig for directing tips, or just shoot the breeze in this newly added opportunity to sit down with “Supernatural” actor/director & convention Master of Ceremonies Richard Speight, Jr.
FRIDAY NIGHT KARAOKE PARTY! 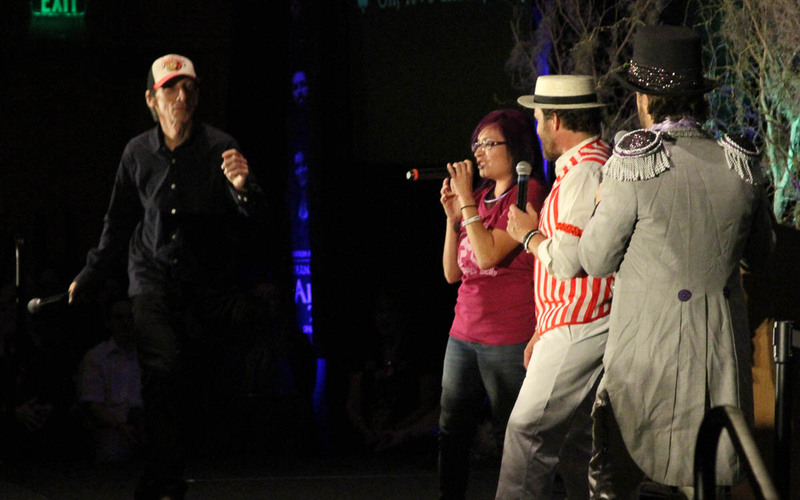 Starring Karaoke Kings Richard Speight, Jr. and Matt Cohen with special appearance by the amazing Kim Rhodes and Briana Buckmaster! 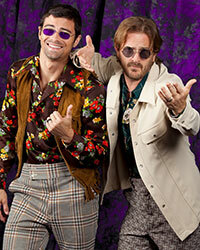 There has never been a fandom party quite as unique and as much fun as Richard Speight Jr. and Matt Cohen’s The Karaoke Kings Party! On occasion, there is a varying roster of co-hosts joining Richard, we usually don't know who until before the show as Matt has a long-running job on General Hospital and sometimes cannot get to a city until too late Friday night or until Saturday morning. In any case we ALWAYS deliver a GREAT TIME TO ALL AT THESE EVENTS. 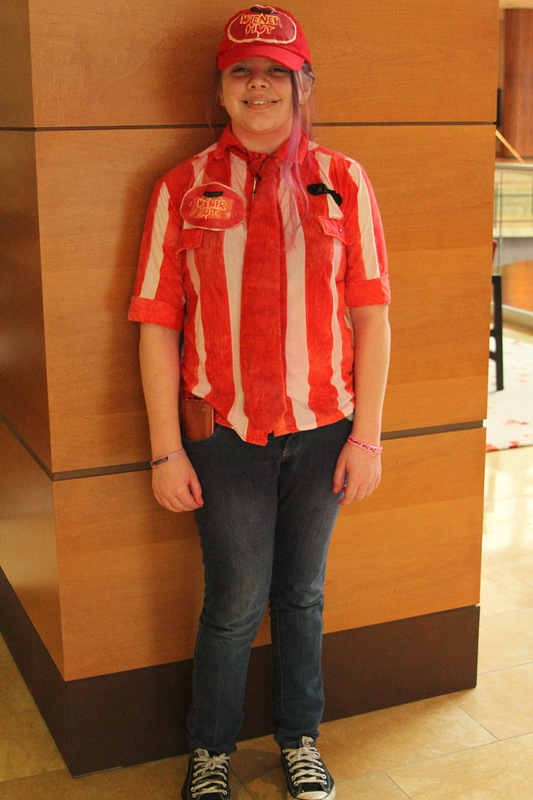 Dressing up is not mandatory, just for fun, so you can come as you are. Chairs are removed from the front of the theatre for those that wish to stand close to the action but there are seats in the rear for those that just want to chill and watch. Our DJ is available on Friday (see schedule of events when available for time) to meet fans that want to sing and help them with their song selections. While this is not a guarantee you will be selected, it is the only way to get in the running! 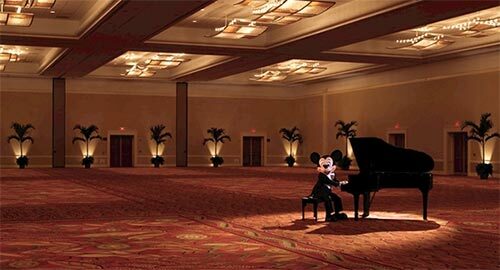 A concert event! 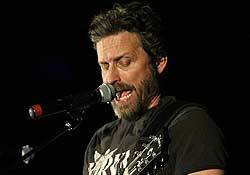 CREATION ENTERTAINMENT PROUDLY PRESENTS Louden Swain and CELEBRITY PERFORMERS in an upscale ROCK MUSIC CONCERT! We are honored to welcome the incredible band LOUDEN SWAIN featuring wonderful lead singer and Supernatural's own ROB BENEDICT (God, Chuck) on stage joined by guest Supernatural celebrity performers tentatively including so far RICHARD SPEIGHT JR., MATT COHEN, MARK PELLEGRINO, KIM RHODES, BRIANA BUCKMASTER, JASON MANNS with more to come. This is gonna be awesome! THE "SATURDAY NIGHT SPECIAL" CONCERT IS COMPLIMENTARY FOR GOLD WEEKEND, SILVER WEEKEND, PLUS COPPER SEATING (keep your same great daytime seats). For others TICKETS ARE $70 AND AVAILABLE THROUGH THE SITE NOW OR AT THE CONVENTION; considering the amazing talent and show, this is A WONDERFUL BARGAIN! Just check out what concerts cost nowadays! THE "SATURDAY NIGHT SPECIAL" CONCERT TICKET IS NOT A DAYTIME CONVENTION TICKET. IT IS A TICKET TO THE "SATURDAY NIGHT SPECIAL" CONCERT ONLY. You do not need a daytime convention ticket in order to attend this nighttime show. Just the night-time show ticket. Everyone loves catching the fan-produced music videos we proudly run throughout the convention. 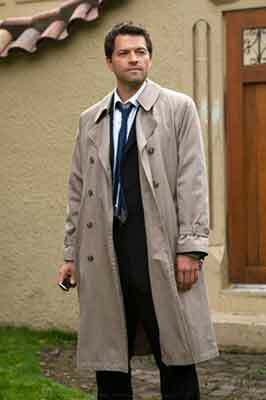 It is always fun to share some hot music coupled with fave scenes from Supernatural; we must say how very talented the "fan" editors have become over the year. 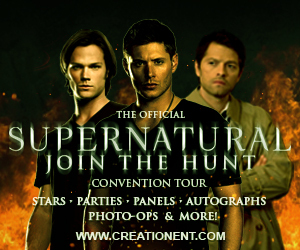 If you are a talented video editor now is your chance to show off your creativity and vie for prizes at Creation Entertainment's Supernatural Official Convention Tour 2018. Rules: one music video about SUPERNATURAL may be submitted on DVD only (please no computer-based media like CD accepted). PLEASE USE ONLY NTSC FORMAT FOR YOUR DVD. Entries are judged on the following criteria: video quality, audio quality, editing quality, inventiveness, song selection and originality. Humorous submissions are encouraged. Entries cannot be returned, and person submitting entry is granting Creation the right to play this entry in perpetuity at Creation events worldwide and/or online at the Creation website(s). Creation does not sell music videos so your entry will never be sold as a commercial product, just presented at our events/on-line. Note: Due to the high volume of entries for our music video contests, we are forced to limit entries to those people actually attending the specific show they are entering for. You do not have to be present for the actual showing of your video, but you must claim your award on site before the end of the weekend or your award will be forfeited. URGENT: THE COMPETITION CLOSES FORTY DAYS PRIOR TO THE ACTUAL OPENING OF THE CONVENTION, NO EXCEPTIONS! PLEASE NOTE that we are also looking for entries to introduce our supporting cast members so please keep that in mind too! Also, fans should not use footage from other than the shows we are honoring even if it features the stars of the current show the convention is about. 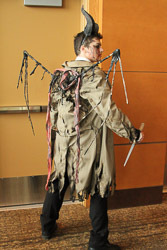 Here's an opportunity for you to show your creative talents by entering our famous costume competition. 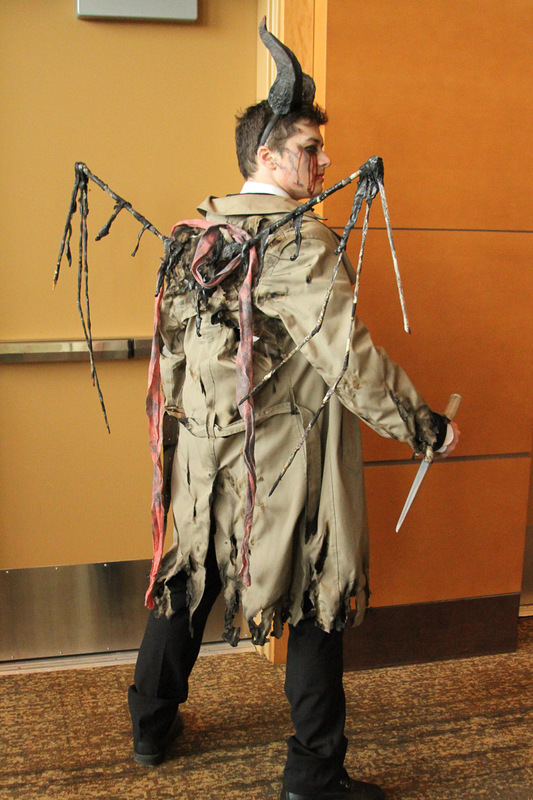 Held on SATURDAY, come dressed as any Supernatural character (or make up your own) and vie for audience applause and great prizes including a $250 gift certificate (certificate good for one year towards Creation merchandise only, excludes convention, autograph and photo-op tickets). Good luck! PLEASE NOTE: COS PLAYERS CAN NOT CHARGE TO TAKE PHOTOS WITH FELLOW FANS! 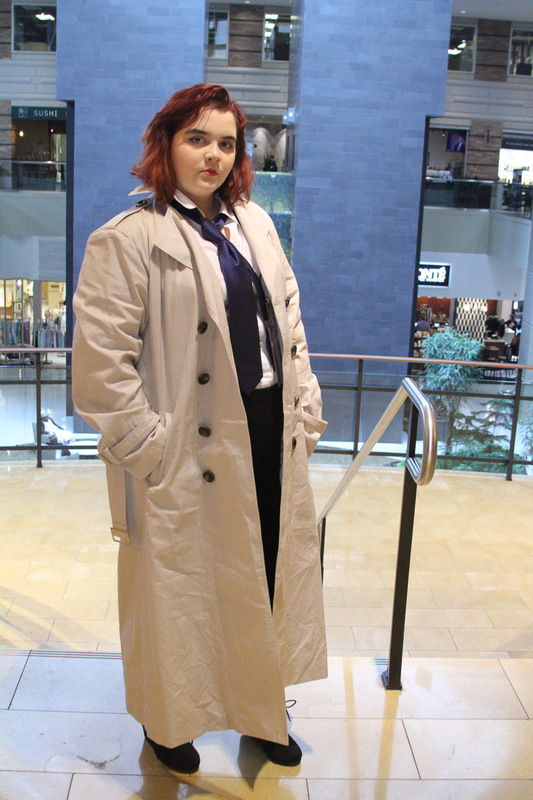 PLEASE NOTE: Because we are a merchandise licensee of Warner Bros. Television for Supernatural only licensed by the studio Supernatural products are permitted for sale at the convention. Other vendors of other genre merchandise are invited to attend as well. 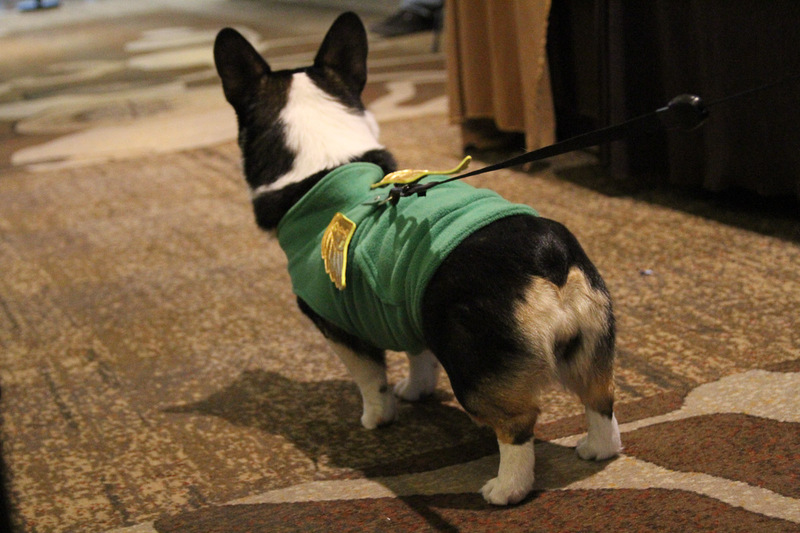 For our attendees we wanted you to know that the vendors area is small compared to a “comicon” that covers many properties. Because of this fact, we didn't want anyone to come expecting a huge dealers room; even if these two photos are crowded, it really doesn’t get so very often so there is plenty of time set aside to more casually browse. 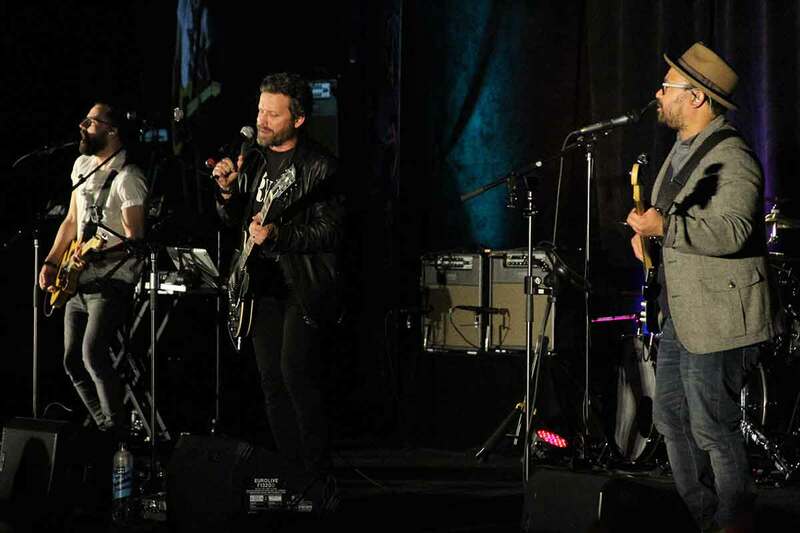 LOUDEN SWAIN has become a mainstay attraction on stage throughout the days, and we can't imagine a convention being as much fun for all (including the celebrity guests) without them. 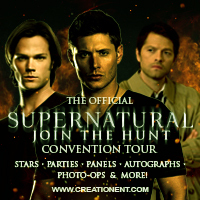 They have added an incredible amount to the Creation Entertainment Official SUPERNATURAL Convention Tour: it has helped take these fan gatherings boldly into a place that makes these affairs into new fan convention territory: it really is three days of non-stop live musical, comedy and improv entertainment! 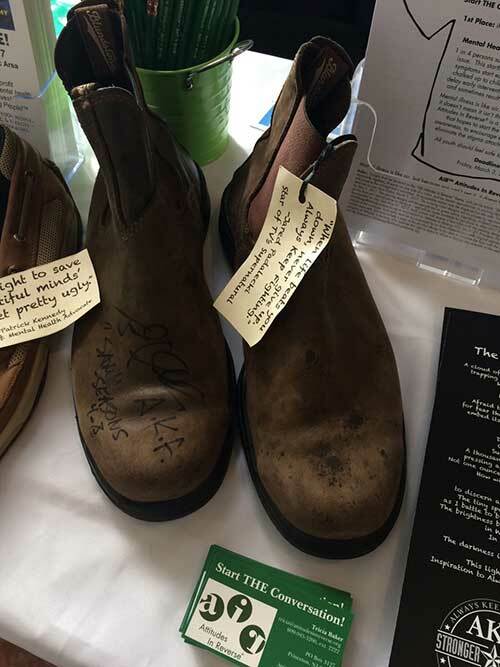 Attitudes in Reverse is a nationally award winning charity that "Starts the Conversation" about mental health by going into schools and colleges to raise awareness about depression, anxiety, PTSD and other mental health issues. 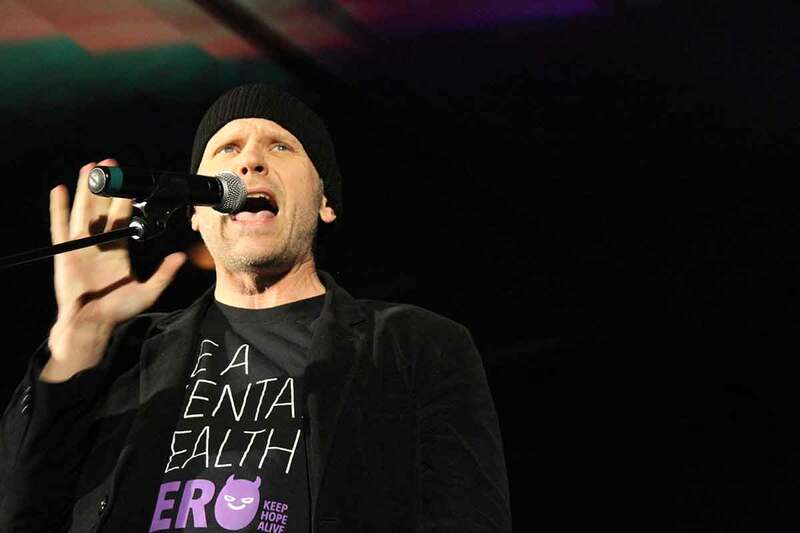 AIR has spoken to over 70,000 people in 7 states and has received support from Jared, Mark Pellegrino and Gil McKinney among others. 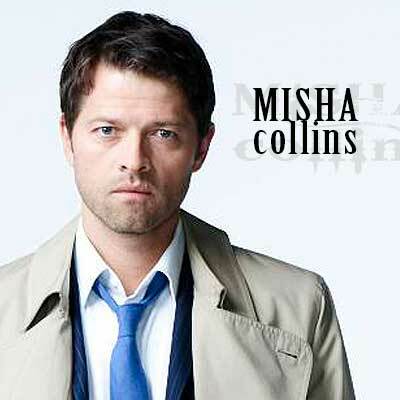 We love helping Misha and Cinde with their amazing charity which we’ve supported from the start. What generous and fine folks they are and we just LOVE the above photo illustrating how generous fandom has been at our conventions. 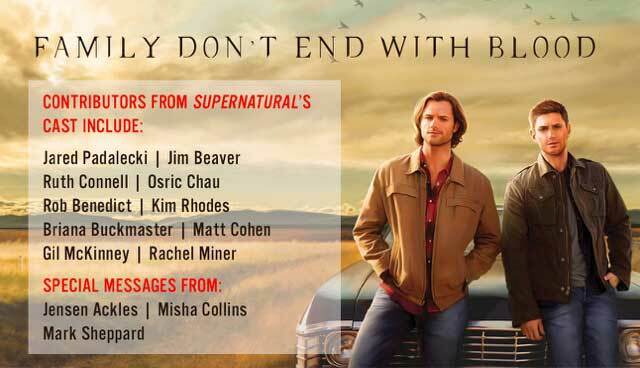 SUPERNATURAL OFFICIAL CONVENTION e-mail list. Please make sure to bring ALL of your printed out tickets to the convention as we can not replace any tickets forgotten or lost. This holds true for all ticket-buyers domestic and outside of The United States as we no longer have a will-call or hold ticket desk. Our convention sites generally have a business office where you can print out your tickets if you have left them home by mistake. 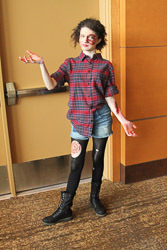 Once you present your ticket(s) at registration, photo op areas, or autograph sessions they will be scanned for legitimacy and one-time use only. Thanks! Please note that tickets are delivered to you via e-mail in PDF format which you should print out and bring with you to convention registration. 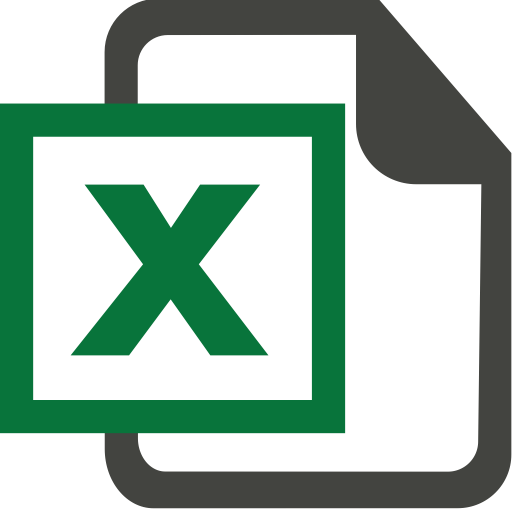 Most customers receive their PDF tickets within three to five business days of having placed their order. 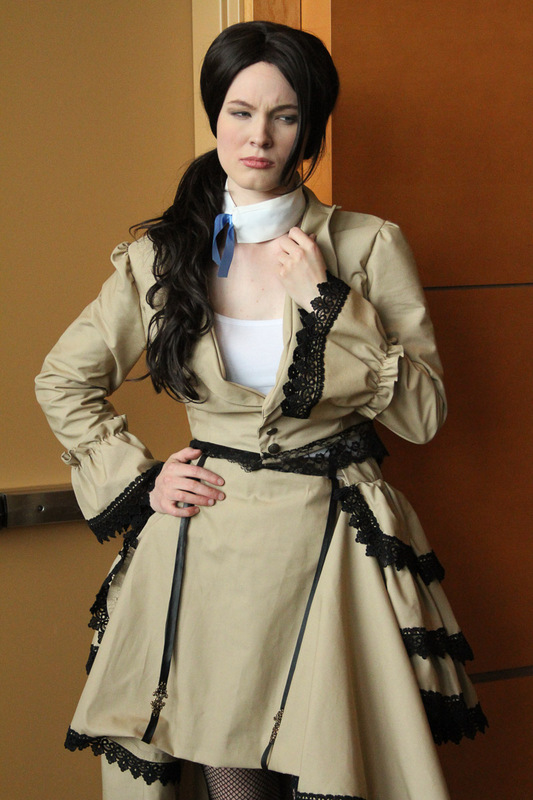 All convention tickets have a $8.50 shipping/handling fee charged per ticket ordered. This applies to all on-line, phone, fax and mail orders. 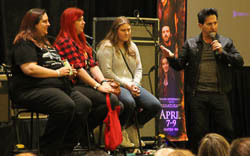 These are the absolute most upscale, most prestigious, best way to attend the entire convention and include the following benefits at the FIRST ORLANDO Creation Entertainment Supernatural official tour stop. 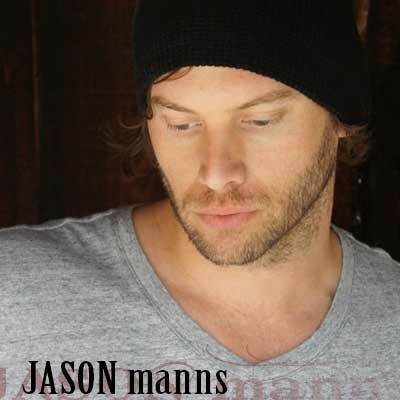 2) Complimentary in-person autographs with great guests including JENSEN ACKLES, JARED PADALECKI, MISHA COLLINS, RICHARD SPEIGHT JR., MATT COHEN, KIM RHODES, BRIANA BUCKMASTER AND MARK PELLEGRINO. The value of these autographs, if bought separately, is over $500, so you can see what a great deal the Gold Package is! It is also cool to see your autographs done in person so you know they are legit, with so many bogus autographs out there by unknown eBay sellers. 3) First to get autographs; we go row by row: you are in the front rows: you get the idea! THAT'S RIGHT: you get to our guests earlier than our other attendees: after all "going gold" does have its benefits! 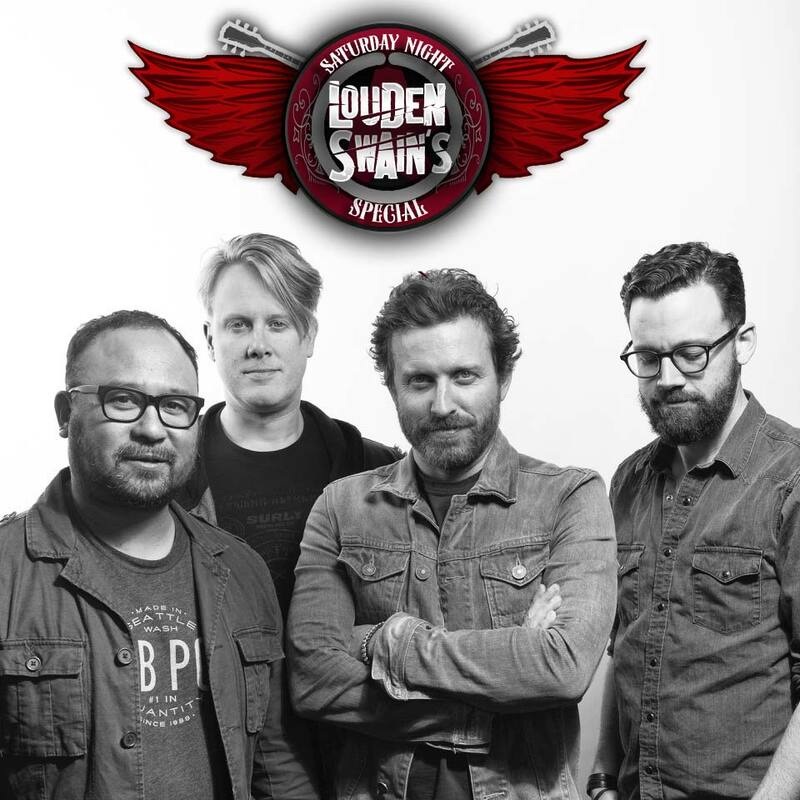 4) Complimentary Admission to our SATURDAY NIGHT SPECIAL ROCK CONCERT: Here selected guests join super-hot band LOUDEN SWAIN, starring Supernatural’s own ROB BENEDICT in an all-star jam session! 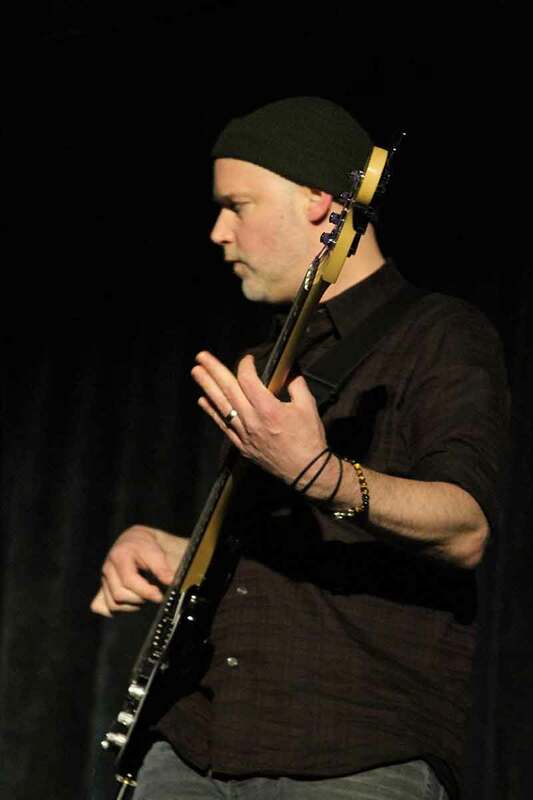 Special guests coming to play with the band include MATT COHEN, RICHARD SPEIGHT JR., KIM RHODES, BRIANA BUCKMASTER, JASON MANNS and others to be announced plus Creation’s own ADAM MALIN, STEPHANIE DIZON and CHRIS SCHMELKE and other surprises. IN FACT YOU NEVER KNOW WHO MAY SHOW UP and that makes it extra fun! Participants are tentative. Best of all you keep your same great seats that you had during the day. 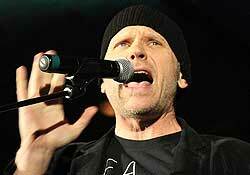 8) Complimentary admission to our famous Karaoke Kings concert party night event! If you haven't attended one of these get ready to LAUGH, SING AND ENJOY! 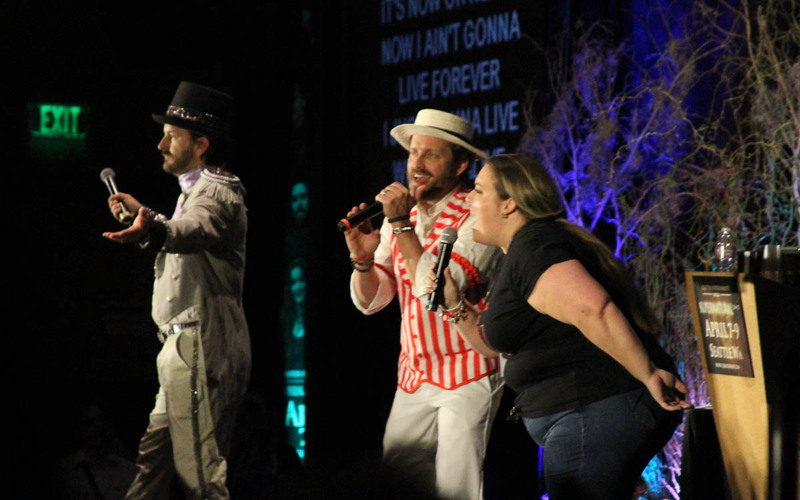 Truly a night to remember, starring the Karaoke Kings Richard Speight Jr. and Matt Cohen and joined by talented KIM RHODES, BRIANA BUCKMASTER and others! Participants are tentative and subject to change. Please note that this is a GENERAL ADMISSION EVENT, so you do not keep your same seats you had during the day. 10) The right to renew your same exact seat (or try to do better) for the following year's convention in the ORLANDO in 2019 if applicable. 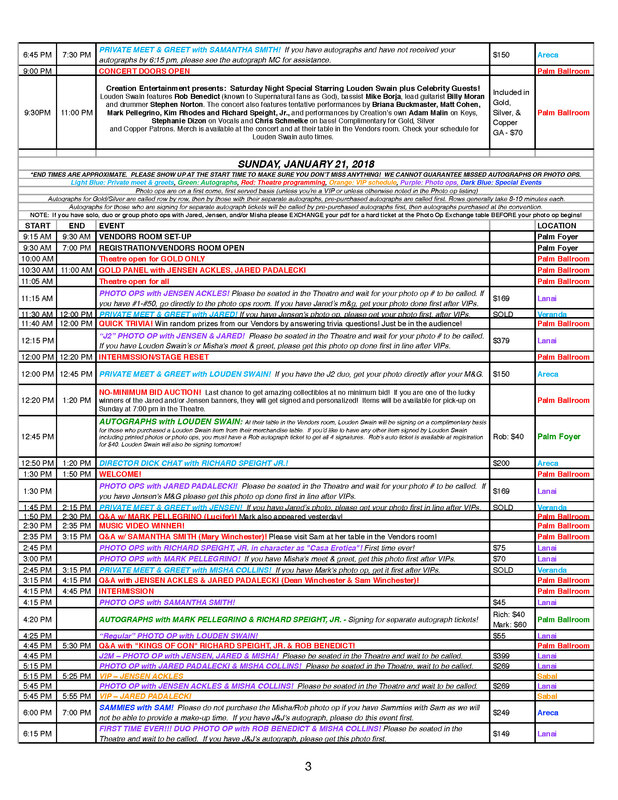 A super-excellent way to get a most enjoyable vacation in beautiful Orlando in January (what could be better, and the first time we’re in a city is always super-exciting to begin with) is by “going silver.” Attend the entire convention in an upscale way and it includes the following benefits at the ORLANDO Creation Entertainment Supernatural official convention. 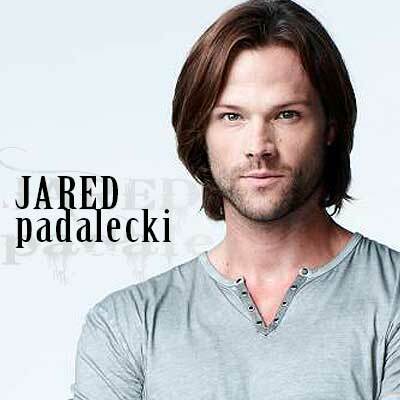 2) Complimentary in-person autographs with great guests including JENSEN ACKLES, JARED PADALECKI, MISHA COLLINS (that’s right for the first time we recall Misha’s autograph is included in Silver and that is to celebrate our first time visit to ORLANDO! 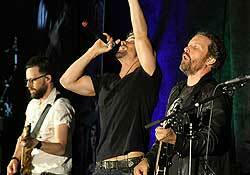 ), RICHARD SPEIGHT Jr., MATT COHEN and MARK PELLEGRINO. The value of these autographs, if bought separately, will be a large portion of the package cost so you know this is one hot deal! Since SILVER is always available in limited quantities and virtually ALWAYS sells out quickly we do ask that you order as soon as you can to take advantage. It really is a great way to personally meet the J’s during autographs: how cool is that (and due to scheduling is one of the very few ways to get the boys’ autographs and meet them)! As autographs collectors ourselves we can attest to the fact that SEEING your autograph done means YOU KNOW it is legitimate and we do suggest noting when/where it was signed so you always have that record! 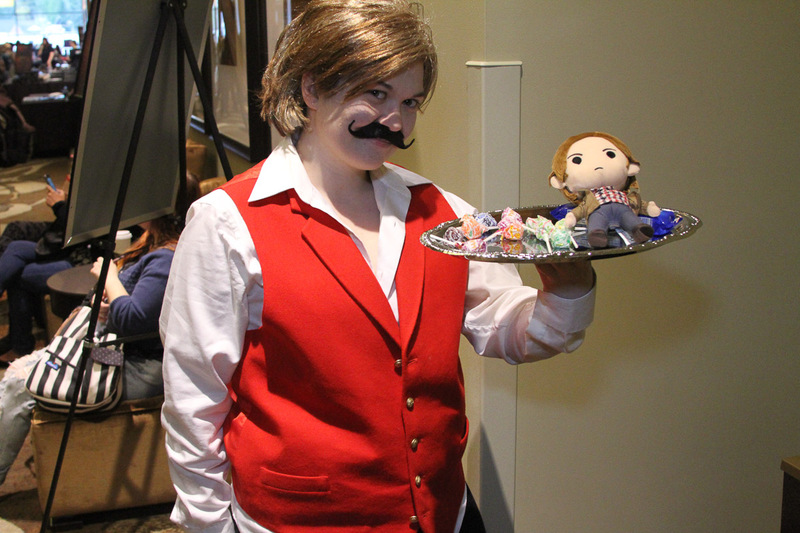 3) First to get autographs after our GOLD PATRONS; we go row by row; you are in the front rows: you get the idea! THAT'S RIGHT: you get to our guests earlier than our other attendees; after all "going SILVER" does have its benefits! 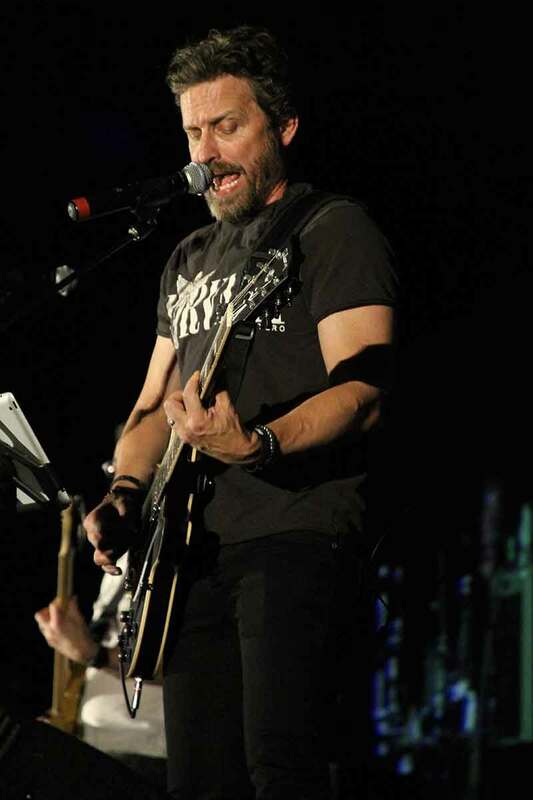 4) Complimentary admission to our "SATURDAY NIGHT SPECIAL" ROCK CONCERT: Here selected guests join super-hot band LOUDEN SWAIN, starring Supernatural’s own ROB BENEDICT in an all-star jam session! 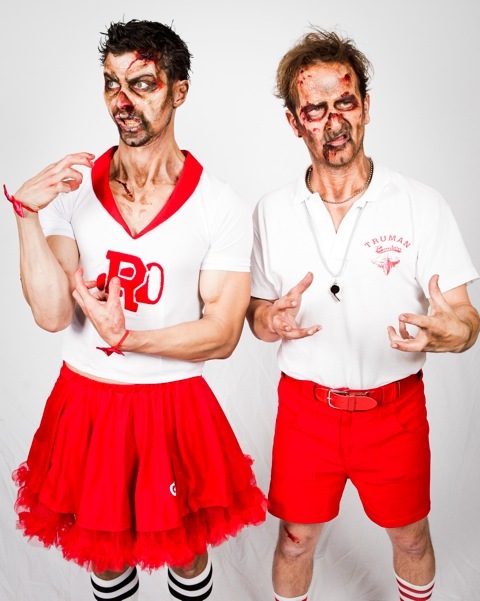 Special guests coming to play with the band include RICHARD SPEIGHT JR., MATT COHEN, KIM RHODES, BRIANA BUCKMASTER, JASON MANNS with more Supernatural celebrity guests to be announced, and Creation’s own ADAM MALIN, STEPHANIE DIZON and CHRIS SCHMELKE with other surprises. IN FACT YOU NEVER KNOW WHO MAY SHOW UP and that makes it extra fun! Participants are tentative. Best of all you keep your same great seats that you had during the day. This is gonna be awesome and it ALWAYS remains a true highlight of any Creation Supernatural convention, in fact most agree it the best night event in all of fandom! 5) Preregistration: We get you set for the weekend before other patrons and give you first crack at the exclusive merchandise! 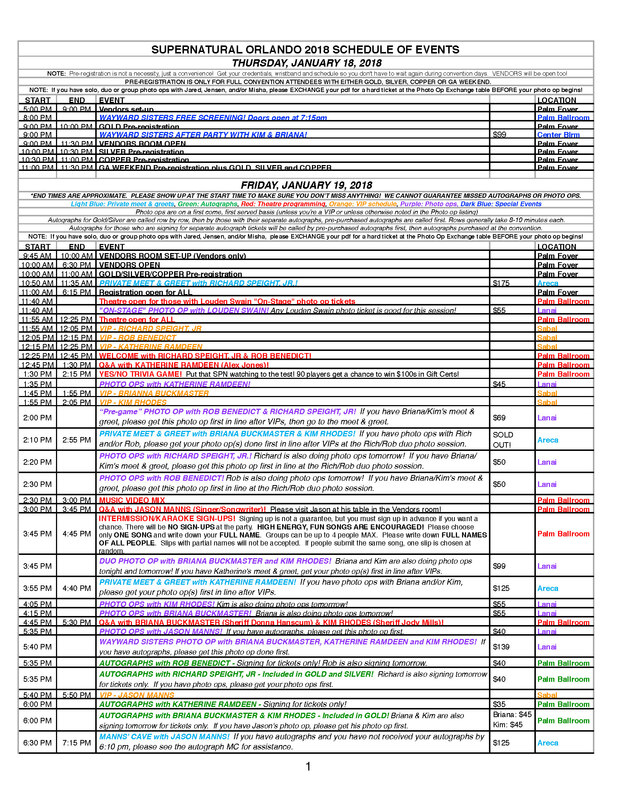 Preregistration generally takes place Thursday night and earlier Friday morning. Preregistration is not a necessity, it is a convenience. You can register any time you like that registration is open. 6) Wristband access: We have special color-coded wristbands and collectible credentials for SILVER package holders: once you get set you don't need to wait again! 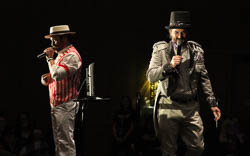 7) Complimentary admission to our famous Karaoke Kings concert party night event! If you haven't attended one of these get ready to LAUGH, SING AND ENJOY! 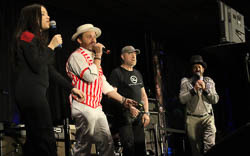 Truly a night to remember, starring the Karaoke Kings Richard Speight Jr. and Matt Cohen and joined by talented KIM RHODES, BRIANA BUCKMASTER and others including generally our Friday guests, but not necessarily. Participants are tentative and subject to change. Please note that front chairs are removed for this event, as it is not a seated affair which means that we do not have reserved seating for this. The hottest party in all of fandom: don't miss it! For those that wish to sit rather than stand we do have seating in the rear of the room during this party. 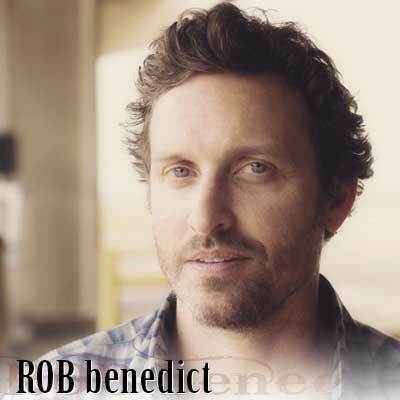 3) Complimentary admission to our "SATURDAY NIGHT SPECIAL" CONCERT starring LOUDEN SWAIN featuring lead singer Supernatural's own ROB BENEDICT (who knew “God” was our lead singer!) 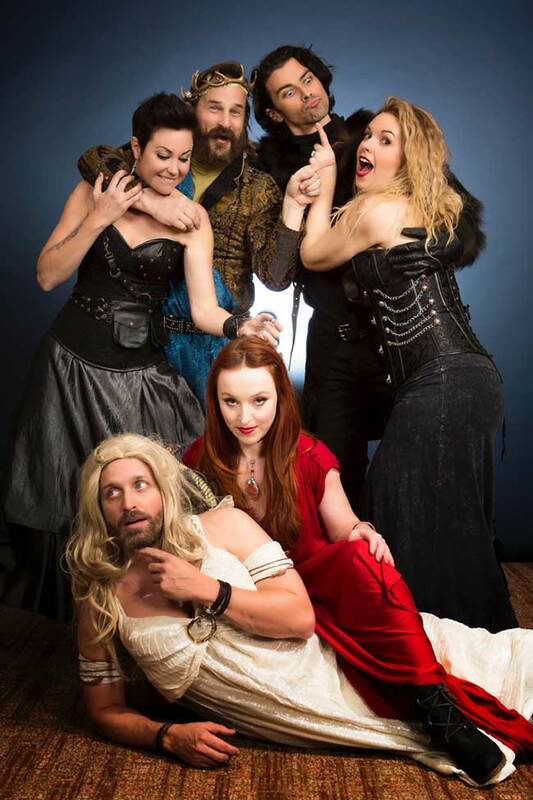 and special SUPERNATURAL celebrity guest stars performing: MATT COHEN, RICHARD SPEIGHT JR., KIM RHODES, BRIANA BUCKMASTER, JASON MANNS and Creation’s own ADAM MALIN, STEPHANIE DIZON and CHRIS SCHMELKE. IN FACT YOU NEVER KNOW WHO MAY SHOW UP and that makes it extra fun! Participants are tentative. Best of all you keep your same great seats that you had during the day. 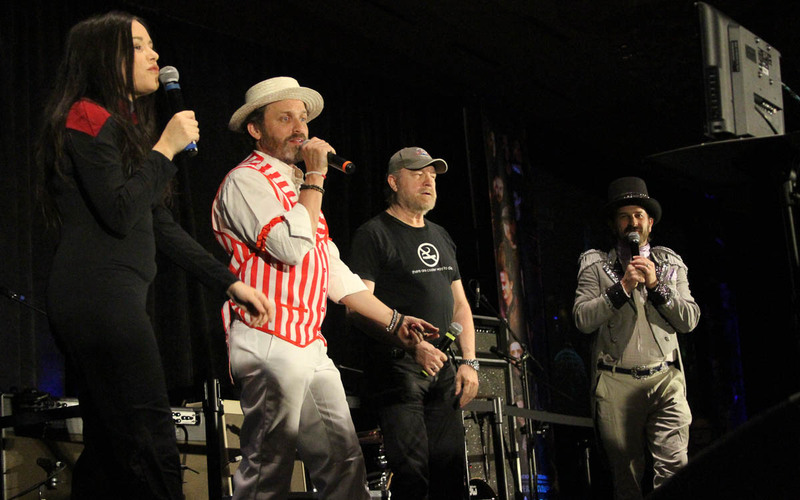 This is gonna be awesome and it ALWAYS remains a true highlight of any Creation Supernatural Convention, in fact most agree it the best performance night event in all of fandom! 7) Admission to our famous Karaoke Kings Concert Party Night event! If you haven't attended one of these get ready to LAUGH, SING AND ENJOY! 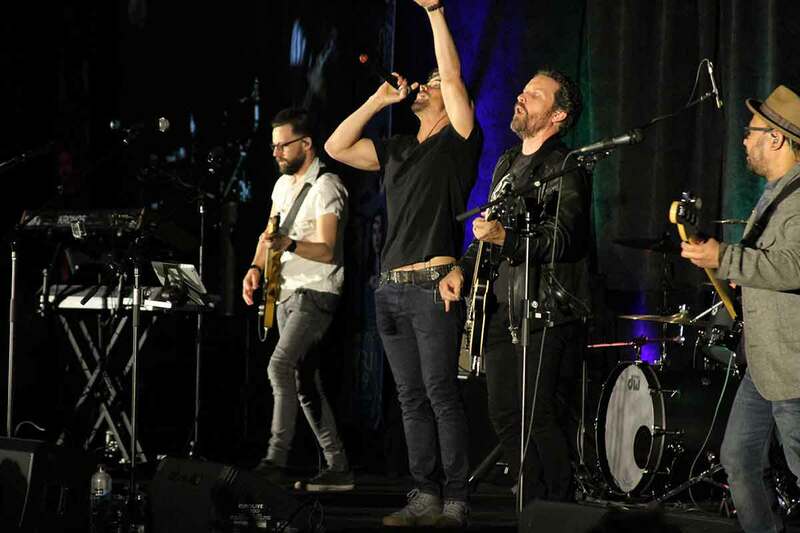 Truly a night to remember, starring The Karaoke Kings Richard Speight Jr. and Matt Cohen featuring Kim Rhodes, Briana Buckmaster, plus others to be announced. Please note that front chairs are removed for this event, so it is not a seated affair which means that we do not have reserved seating for this. Note the theme for the 2018 Karaoke events has been announced as CAR-TUNES, so come dressed themed out like our talent, or come just to have fun! 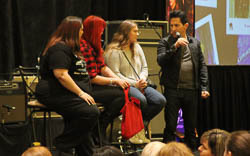 See all the guests and events during the daytime, except the special Gold Only panel. 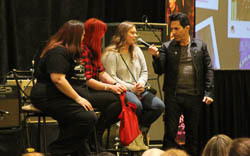 You also get into the KARAOKE KINGS CONCERT (in general admission seating) and are able to purchase any autographs or photo ops that are available as well as, of course, gain access to the vendors area. You get to participate in our preregistration times, and that is your choice, it is not a necessity. There are a limited number of GENERAL ADMISSION WEEKEND PACKAGES AVAILABLE, so please order soon! THIS PACKAGE does not include the SATURDAY NIGHT SPECIAL CONCERT. Just 1 VIP Backstage Experience ticket left! 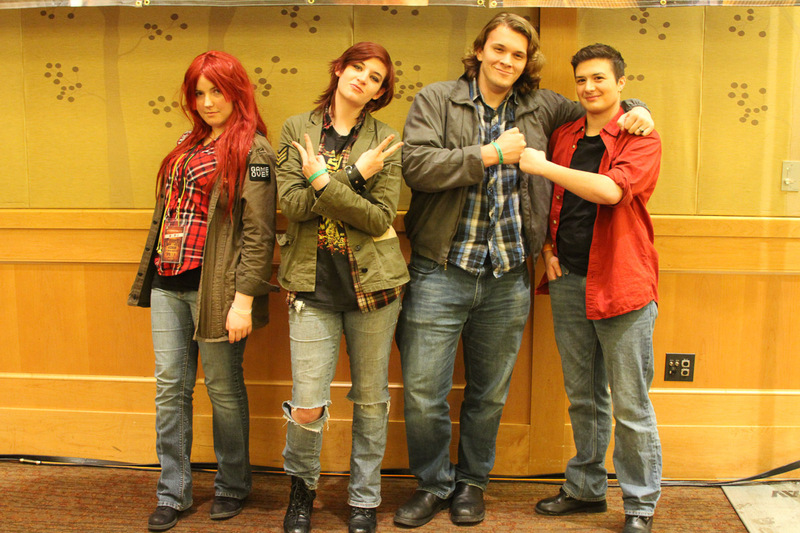 (#4491) SUPERNATURAL ORLANDO VIP BACKSTAGE EXPERIENCE! Tickets are delivered to you via e-mail in PDF format which you should print out and bring with you to convention registration. 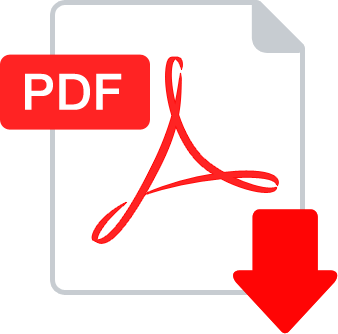 Most customers receive their PDF tickets within three to five business days of having placed their order. All Convention tickets have a $8.50 shipping/handling fee charged per ticket ordered. This applies to all online, phone, fax and mail orders. Children six and under (please bring proof of age) will be free. Other than that all kids are required to hold a full priced ticket for seating. 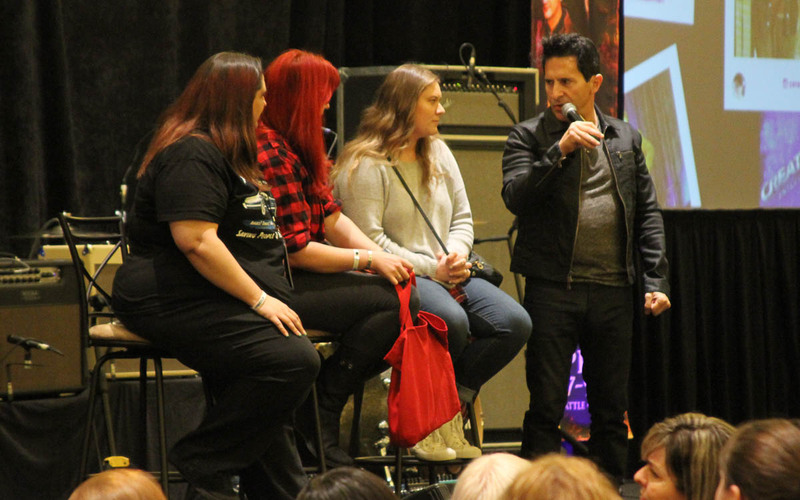 We are asking that our audience does not delay photo ops or autographs by telling our stars personal stories of how the series has helped them during these sessions. 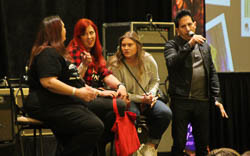 We are well aware of the importance of this issue and the great work the series' stars have done in this area, but we feel it is not in the best interests of the convention to overburden our celebrities with so many difficult and heart-wrenching stories focused at an event that is meant to be fun for them and the audience. We are asking as some of the celebrities have, that your personal stories be posted to their Facebook pages where they can read them in moderation and at a time when they are not dealing with long lines of other folks. Thank you for your consideration in these matters, which also includes not taking time at our question line for personal stories and relate your questions to the series and the stars on stage. THANKS! NEW! 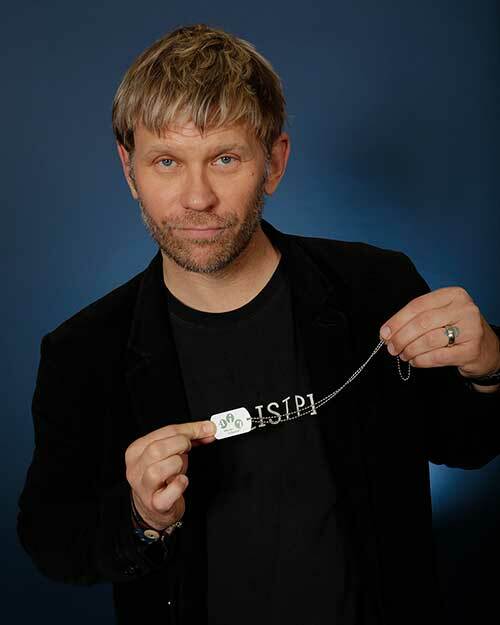 MARK PELLEGRINO $60 (Saturday and Sunday) Please note that Mark will sign on a complimentary basis for Gold and Silver Patrons on Saturday as well as for those with his separate tickets. On Sunday, he will sign only for those with this separate ticket. UPDATE! 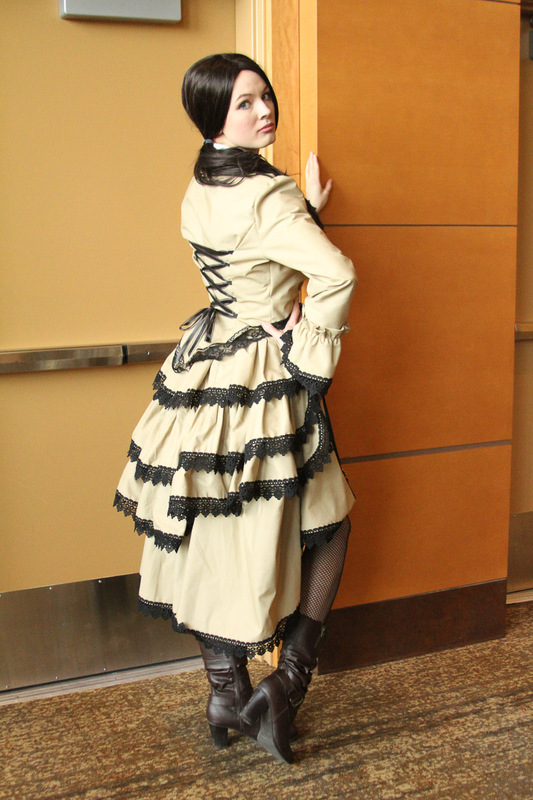 SAMANTHA SMITH (Mary Winchester) Samantha will be at a table in the vendors room on Saturday and Sunday meeting fans and offering her autographs directly at a price set by her. Times also set by her. 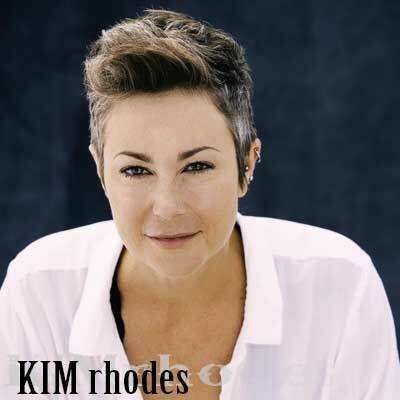 KIM RHODES $45 (Friday and Saturday) Kim will be doing her autographs that are complimentary and part of packages as well as separately sold tickets in advance or at the show on FRIDAY as well. On SATURDAY she will be signing ONLY for separate ticket holders. 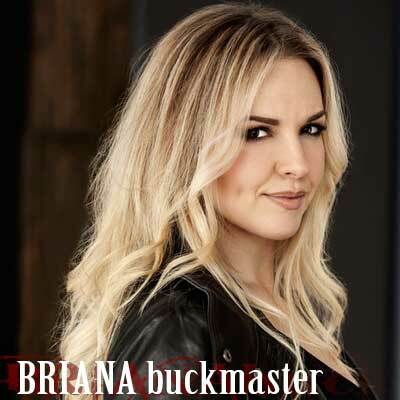 BRIANA BUCKMASTER $45 (Friday and Saturday) Briana will be doing her autographs that are complimentary and part of packages as well as separately sold tickets in advance or at the show on FRIDAY as well. 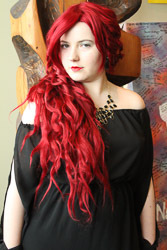 On SATURDAY she will be signing ONLY for separate ticket holders. 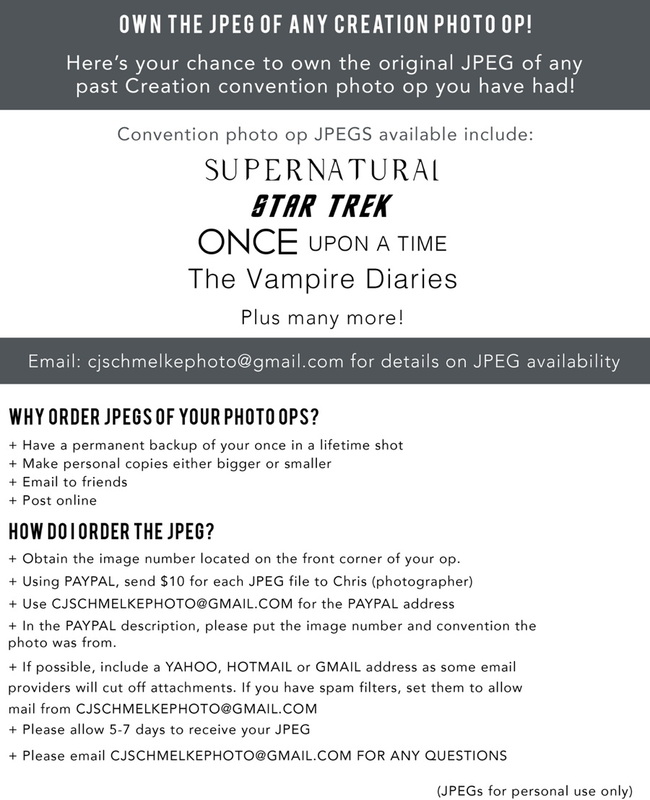 Photo op tickets do not include admission to the convention and are NEVER INCLUDED IN ANY TICKET PACKAGES. You must have an admission ticket for the convention to enter into the photo op areas. Due to security considerations and guest concerns we cannot facilitate the giving of gifts to guests at the photo op sessions. 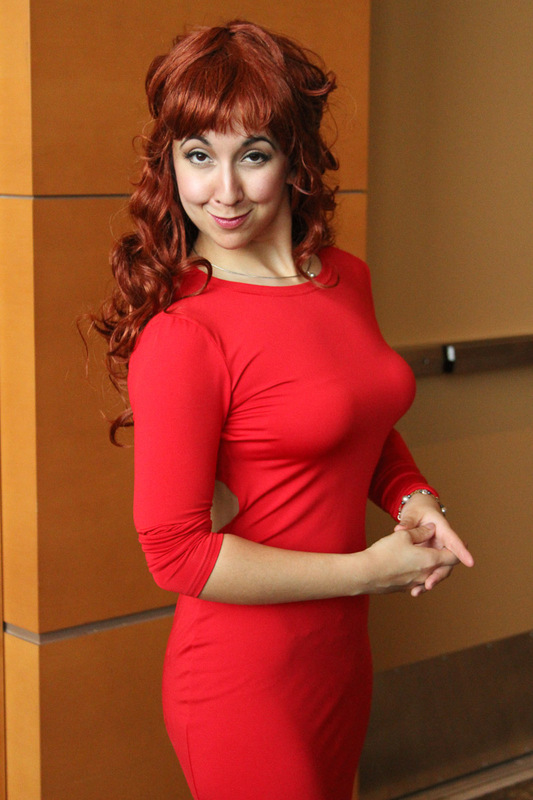 YOUR ONE PHOTO OP TICKET CAN INCLUDE UP TO TWO FANS. YOU ARE ALLOWED TO HAVE UP TO FOUR FANS IN A PHOTO, HOWEVER TO DO THAT YOU WOULD NEED TO PURCHASE TWO TICKETS (TWO FANS TIMES TWO TICKETS = FOUR FANS). Because of logistics and timing and at the request of our guests and photographers we cannot accommodate over FOUR fans in any one photo op. 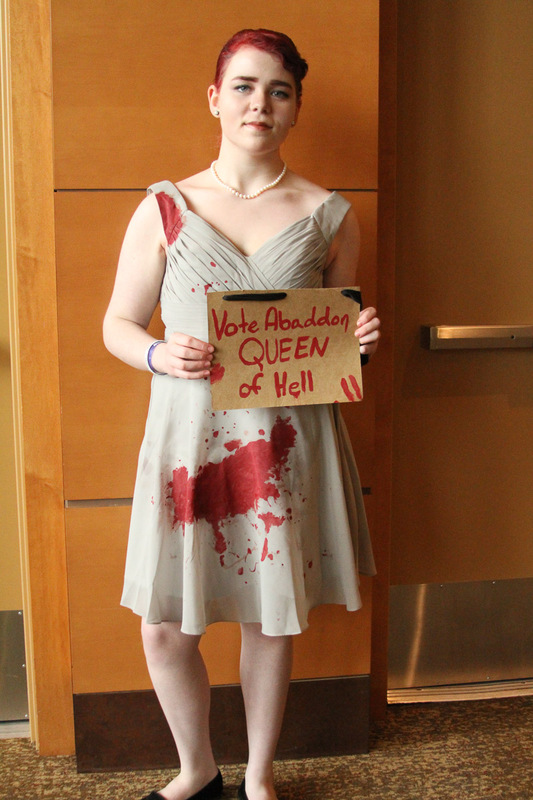 What's it like to get a photo op? 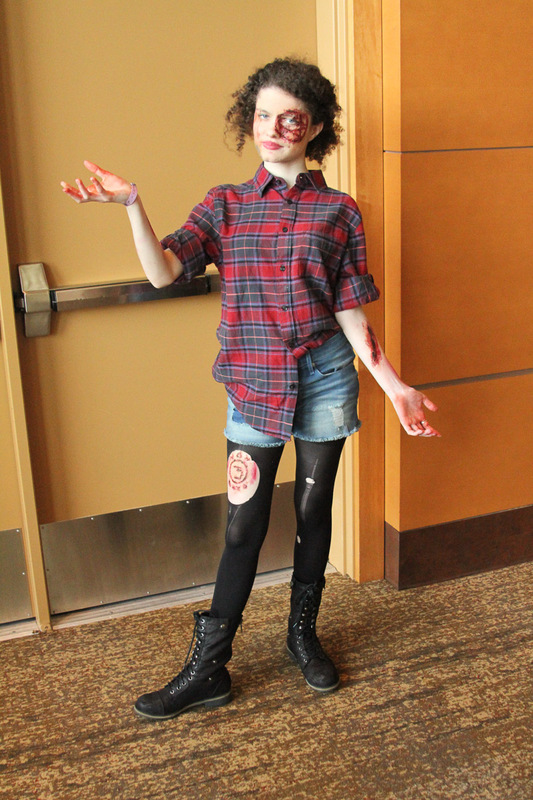 We talk to some nice attendees who just had the experience! Ever want an exclusive concierge assigned just to you at a particular Creation convention. They know the rules, will get you in lines right after the 10 VIPs, and they will help you keep track so you don’t miss anything. 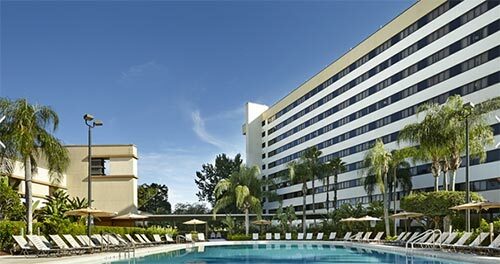 Hilton Orlando Lake Buena Vista - Disney Springs™ Area, an Official Walt Disney World® Hotel, is located within easy walking distance to Disney Springs™ - a truly amazing place. This eclectic mix of unique boutiques, one-of-a-kind eateries and jaw-dropping entertainment will have you wondering where the day went. To make your getaway even more convenient, shuttle transportation is also available for all guests to/from Disney Springs™. It's the perfect place to connect with all the things you love, especially each other. Our four fascinating neighborhoods are filled with so much to discover - they'll pull you from one to the next. Ease into the charming rustic vibe of this welcoming waterside district filled with one-of-a-kind boutique shops. The wharf-side eateries offer everything from artisanal cocktails crafted at the edge of your stage-side table to a sushi bar so fresh, it's a cut above the rest. From amazing crystal glass coaches to sportswear with a Disney flair, the Marketplace is one of the hippest Disney shopping experiences around. From a sophisticated art gallery to a candy store that's just goofy, here you'll find the world's largest collection of Disney merchandise from totally classic to truly unique. Check here for more information on Disney Springs™. 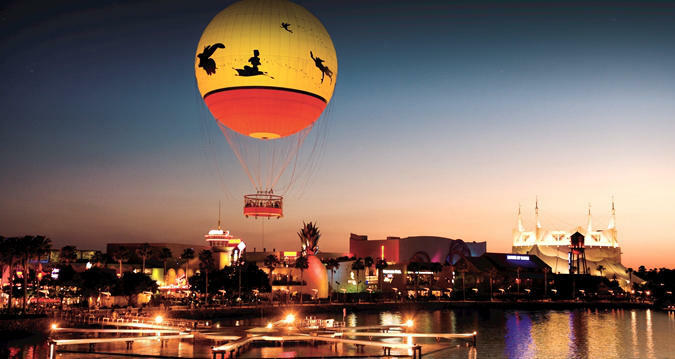 Included in your stay, Hilton Orlando Lake Buena Vista - Disney Springs™ Area offers continuous transportation to and from Walt Disney World® Theme Parks and Disney Springs™. 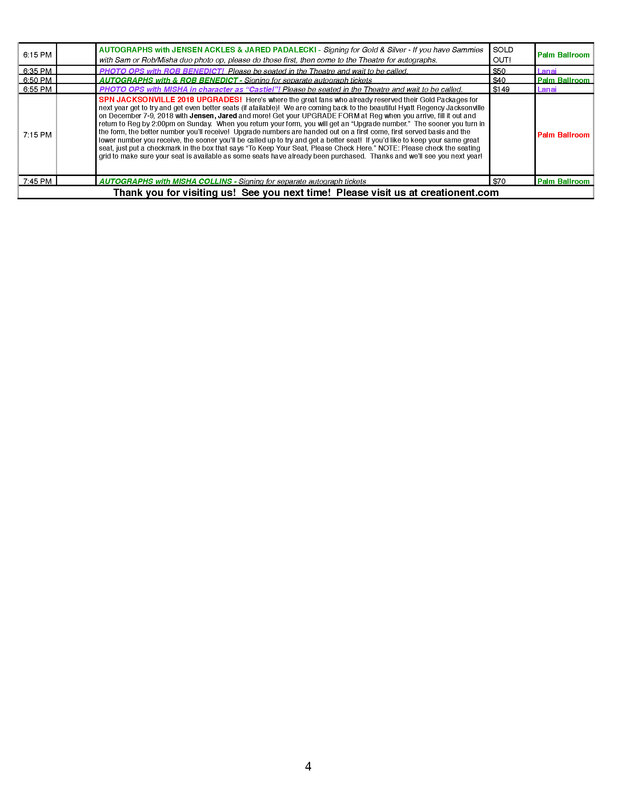 Shuttle transportation begins one hour prior to park opening and ends two hours after park closingFor your convenience, the information below has been assembled to help you plan your Walt Disney World® Resort vacation at Hilton Orlando Lake Buena Vista - Disney Springs™ Area. 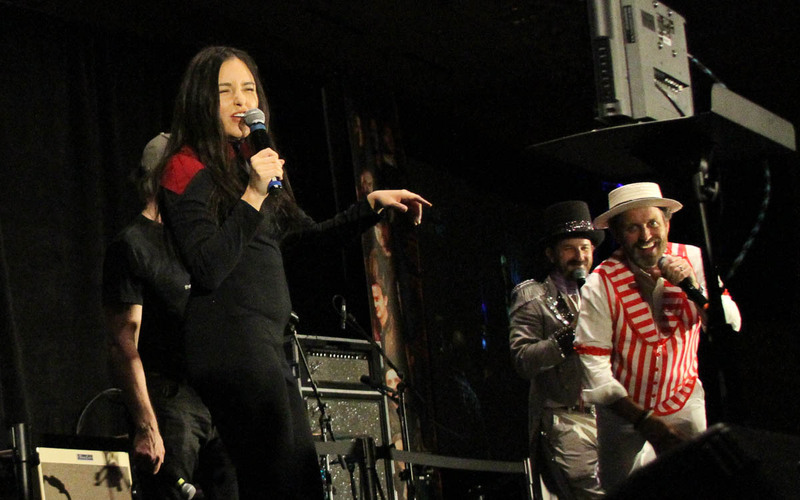 For those attending our conventions and making travel plans: lease know that the majority of guests that appear on stage do so usually in the later part of the day (although that is sometimes different for actors working on a current series). Sometimes autographing runs into the evening or later when guests appear late in the day. 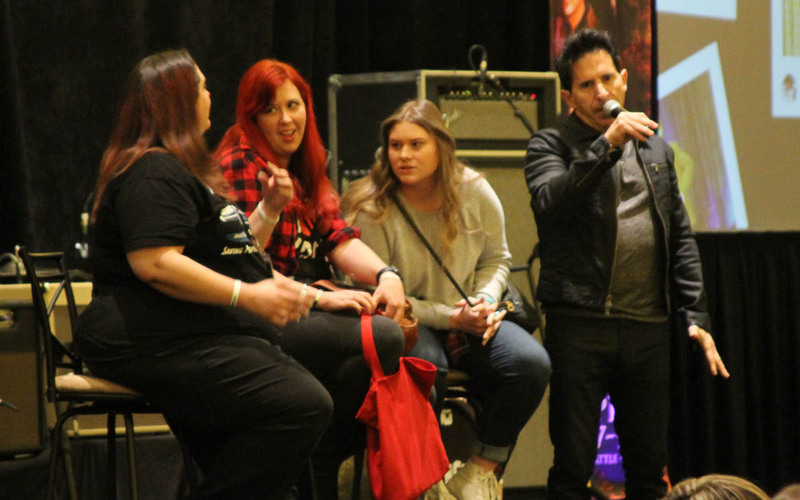 Because we have to wait for guests to give us their flight information we cannot tell you in advance when these autograph sessions will occur until the convention schedule is posted at this website a few days before the event. 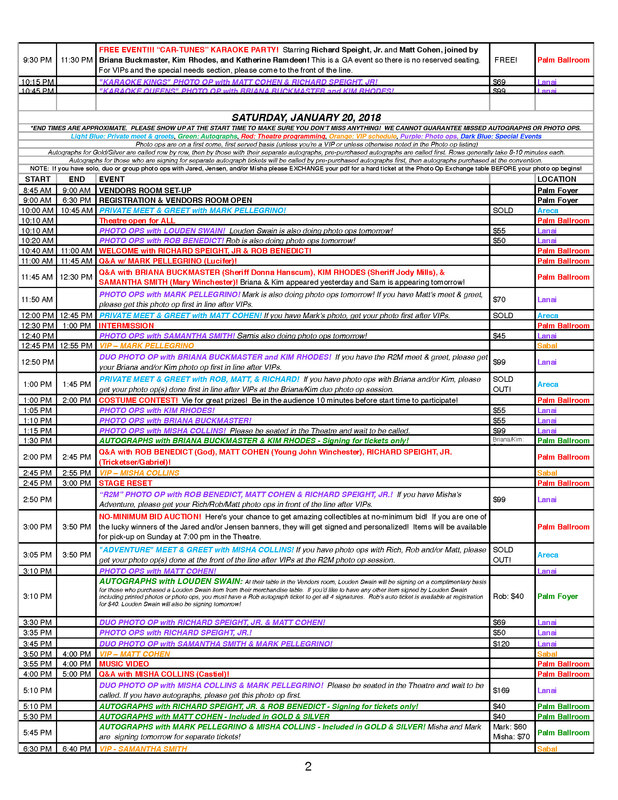 For those out-of-towners that want to guarantee autographs of stars appearing on Sunday we do suggest staying over or planning a later leaving time. PHOTO TAKING POLICY AT THIS CONVENTION We know that taking photos makes the convention even more fun and we thought it would be a good idea to share our photo taking policies for you before you arrive at the convention so you can prepare. In the auditorium, photo taking is encouraged, but only from your seat. It is unfair to run up to the stage and block the view of others who have paid for reserved seats in front of you. Even if there are empty seats, patrons must sit in the seats they paid for to be fair to everyone. Due to fire marshal regulations everyone must be seated during performances. Please also be courteous to your neighbors when taking pictures. Photo taking is not allowed during autographing sessions nor during the photo ops. Only those people who have autograph tickets may come up to get autographs. 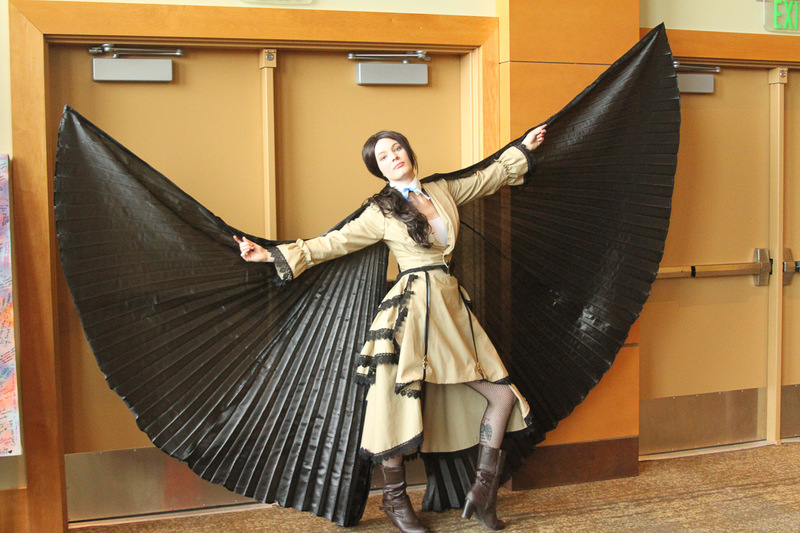 In the event of convention cancellations or date changes Creation Entertainment is not responsible for patrons' costs involving travel or hotel accommodations or any other non- convention ticket expenses. NOTE: ALL TICKETS ARE NON-REFUNDABLE AND NON-EXCHANGEABLE. ABSOLUTELY NO AUDIO OR VIDEOTAPING ALLOWED AT ANY CONVENTION. Still photography is for personal use only public dissemination and commercial use strictly prohibited. In the unlikely event of a cancellation of the convention, or a date change, Creation Entertainment is not responsible for refunding airfare or any other costs other than the payments made directly to Creation Entertainment for ticketing. 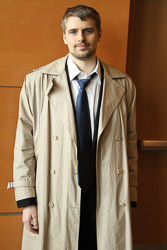 Also in the unlikely event, due to weather, transit issues or last-minute illness or other reason given by celebrity, an advertised guest does not make their appearance at the convention, Creation Entertainment is not responsible for any refunds other than separate specific to the guest autograph tickets or photo op tickets. 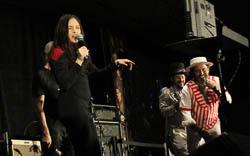 In the extremely rare chance that a guest does not finish his or her autographs or photo ops (which has only happened in a hand full of cases over 40-plus years, always due to something out of our control) Creation Entertainment will only be responsible for the refund of the separate autograph or photo op ticket.